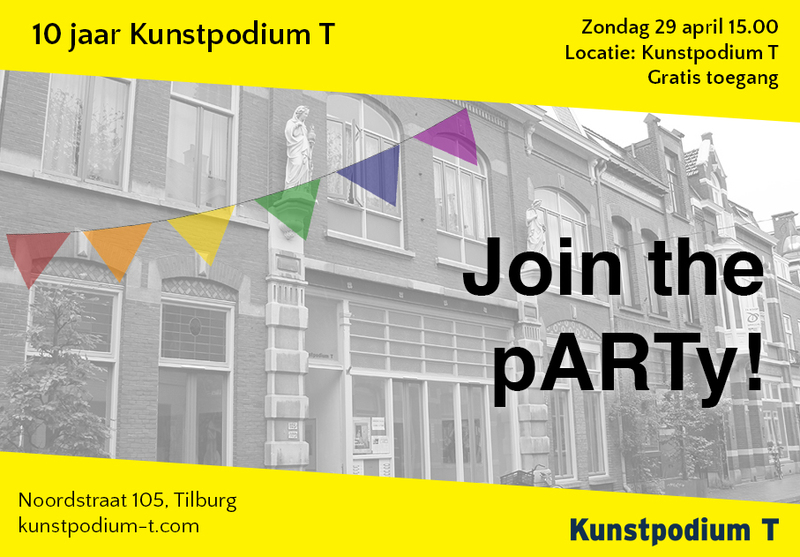 29 April: 10 years Kunstpodium T – Join the pARTy! Kunstpodium T has been around for ten years and we will celebrate this grandly! On Sunday 29 April we will be kicking off the jubilee season with a nice and inspiring day on our premises in the Noordstraat in Tilburg. During this afternoon, we will stage a special performance that has been designed especially for the anniversary by one of the masters for this season of the Apprentice Master program. You will also be able to dive into the rich history of Kunstpodium T over the last ten years, and see what else we have planned during the summer to celebrate our ten-year existence. Are you coming too? Snacks are drinks will be ready! Free entry for all ages!